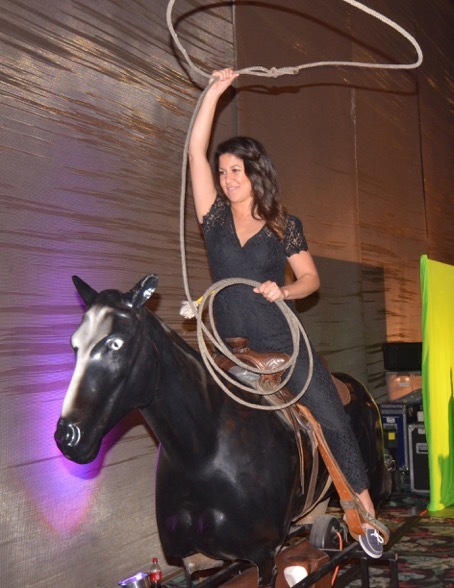 Ride ‘em and rope ‘em cowboy! 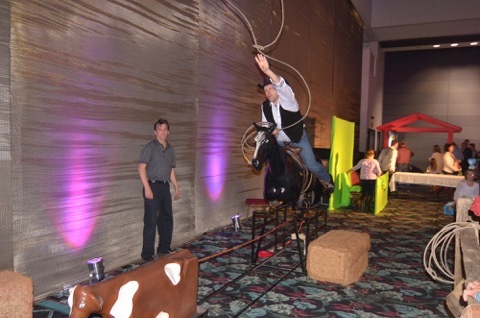 Let your guests try their hand at roping some “little doggies” and yours will be a party they’ll never forget! 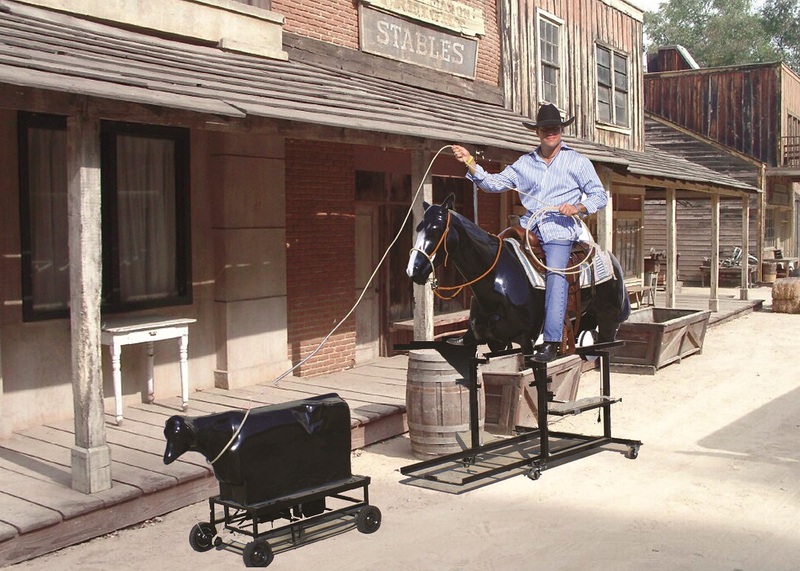 Our completely mechanized horse and calf roping system is state-of-the art. 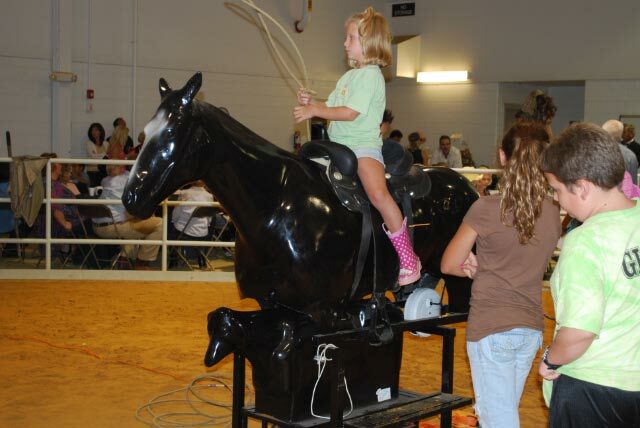 Guests sit on the saddle of a life-sized mechanical horse. 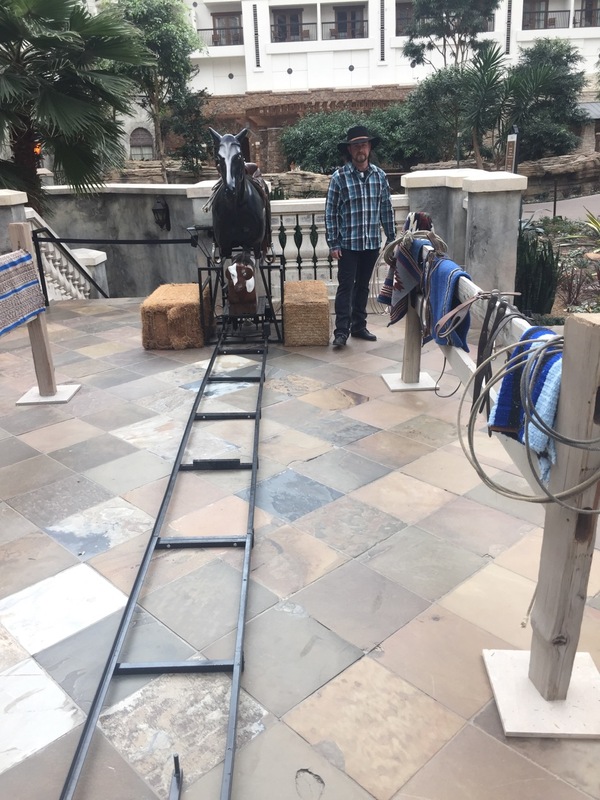 When they kick the horse’s side, a mechanical calf runs out from beneath it, and they get a chance to try roping the calf. 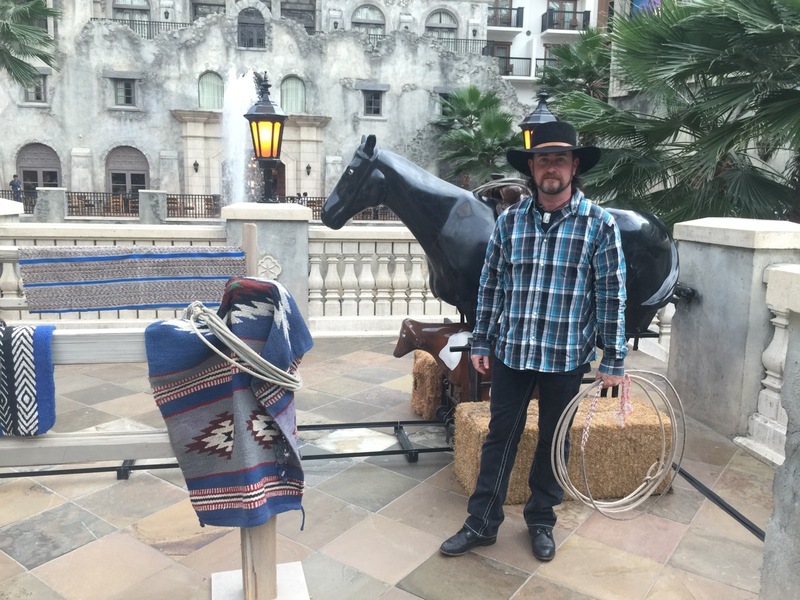 Our trained attendant stands by to keep the roping safe and fun. 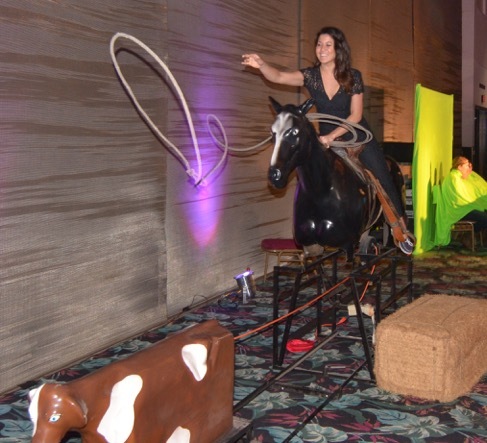 With roller roping, everyone gets a chance to be the cowboy—an experience they’ll never forget. 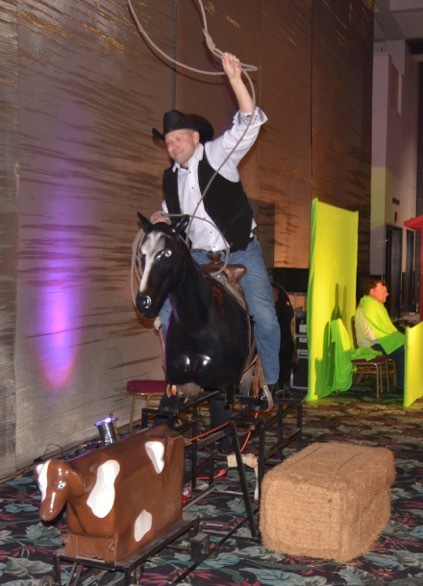 Contact us by filling out our Request a Quote form for that missing ingredient in your Western themed party!